Most people think of food when they think of clams, but for biological sciences researcher Neo Mei Lin, conservation is what comes to mind. 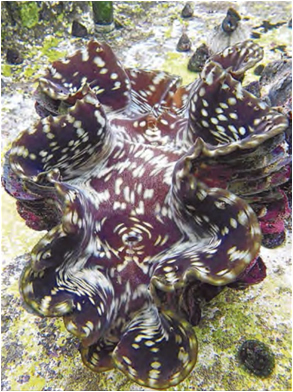 The National University of Singapore (NUS) scientist goes scuba diving about twice a month to survey the giant clam population and scrubs their shells to ensure they stay healthy in a hatchery. Once commonly found here, giant clams are now few in number as their natural habitat has been lost to land reclamation and pollution. Dr Neo, 28, is receiving funds to help her in her quest to conserve clams: She became one of 10 people from NUS and the Nanyang Technological University to win US$10,000 (S$12,400) grants each from the World Future Foundation (WFF) on Thursday. This was the fifth year that the non-profit group gave awards to PhD students for their research in environmental sustainability. Dr Neo, who has been involved in research on the giant clam population here since 2007, will use part of the money on equipment and overseas workshops. She still remembers the first wild giant clam she saw. It was a fully grown one of about 40cm in length, spotted at Pulau Jurong off the southern coast of Singapore. "The tide had gone out and it was sitting on a patch of sand. It was brownish green and had a striped pattern on its shell. In May, I came across the same clam again. I brought it back to our lab and took healthy eggs from it," she said. Giant clams can grow to become more than 1m long and weigh more than 300kg. Other research projects this year include those on energy storage and solar cells. Dr Feng Lun, WFF board chairman, hopes the projects are sustained. "Even if they start off as very tiny things, they can have effects that will snowball and help humanity and mankind," he said.